The Hounslow Business Awards returns to the Hilton London Syon Park this October. The fifth edition of the prestigious local awards ceremony sees a variety of categories rewarding a diverse range of local business achievement. The event also serves as an opportunity for local companies to share knowledge and business insights, as the local business community continues to learn and prosper. Russell Finex is delighted to have been shortlisted for five awards this year. 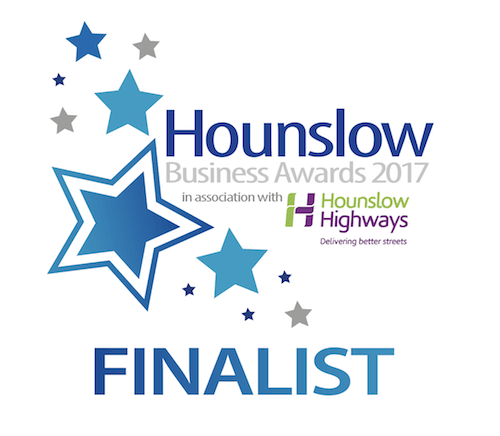 Looking to continue the success of previous years, having previously been named Best SME Business, Exporter of the Year and Best Business for Marketing and Social Media, Russell Finex once again hopes to enjoy success at the Hounslow Business Awards 2017. This year sees the company shortlisted for International Company of the Year, Innovator of the Year, Best Business for Marketing and Social Media, Logistic Business of the Year and the Green Award. Being shortlisted in these categories reflects another successful year for the local manufacturing company - a global leader in the manufacture of premium sieving and filtration equipment. Founded in 1934, Russell Finex continues to invest in developing innovative new products, as well as improving manufacturing methods and facilities at its global headquarters in Feltham, Middlesex. This includes taking into account its carbon footprint, and several steps have been made in recent years to become a more eco-friendly manufacturer. In addition, recent overseas developments include the opening of a new facility in China, becoming the company’s fourth overseas subsidiary, and a new sales office in Brazil. Russell Finex also invests in developing a dynamic sales and marketing strategy, with a synergistic approach delivered across the globe. The winners of the Hounslow Business Awards 2016 will be announced at a ceremony on 12 October.